The emperor Vespasian (r AD 69–79) originally commissioned the amphitheatre in AD 72 in the grounds of Nero’s vast Domus Aurea complex. But he never lived to see it finished and it was completed by his son and successor Titus (r 79–81) a year after his death. To mark its inauguration, Titus held games that lasted 100 days and nights, during which some 5000 animals were slaughtered. Trajan (r 98–117) later topped this, holding a marathon 117-day killing spree involving 9000 gladiators and 10,000 animals. More recently, pollution and vibrations caused by traffic and the metro have taken a toll. To help counter this, it was recently given a major clean-up, the first in its 2000-year history, as part of a €25-million restoration project sponsored by the luxury shoemaker Tod’s. The top tier and hypogeum are open to the public by guided tour only. 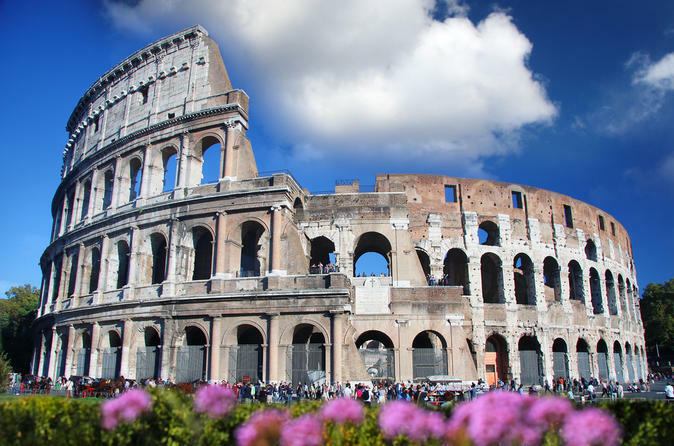 Visits, which cost €9 on top of the normal Colosseum ticket, require advance booking.